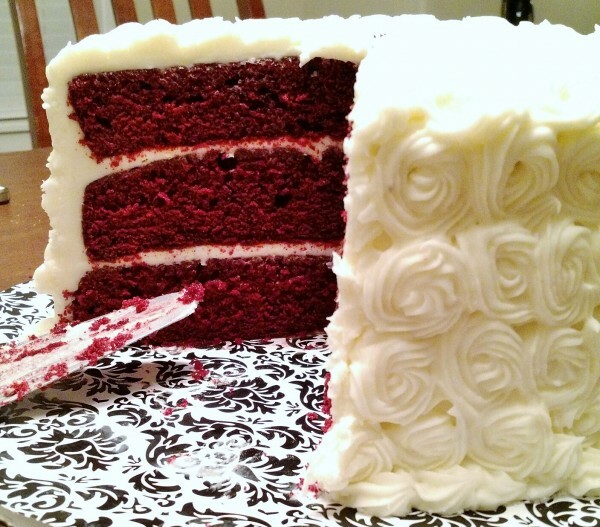 Swirls and swirls of rich cream cheese frosting on a luscious red velvet cake. So, here at The Simple Cake, we (I) are simple folk. Which really means, we are (I am) not always so super confident about decorating skills. Hence, the “simple” cake. It’s all about managing expectations, right? Simply decorated, but tasty. At least, that’s the plan. But this weekend I was honored to receive a request from an incredibly creative family. From a mom who bends her creativity toward not just her work at a technology powerhouse, but also toward her true passion of cooking, to a dad who masterfully applies his creativity to the art and science of winemaking, to an older sister whose creative vision fires an astonishing talent with visual arts, and a younger sister whose creativity took a passion for cosmetics and turned it into another art form entirely, this family so obviously has creativity flowing through their very DNA. But seriously–what a fun challenge! 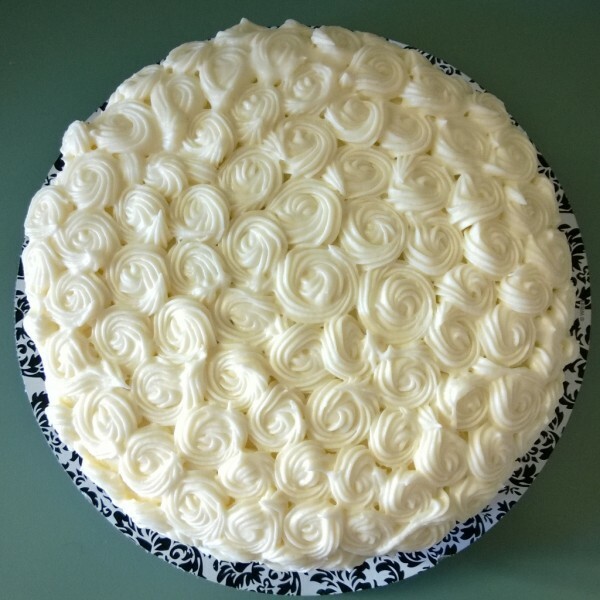 A birthday request for the lovely Megan (the younger sister): a red velvet cake that is simple and true to its classic form with soft, moist, deep vermillion layers that hint of chocolate and rich cream cheese frosting that is both tangy and sweet. 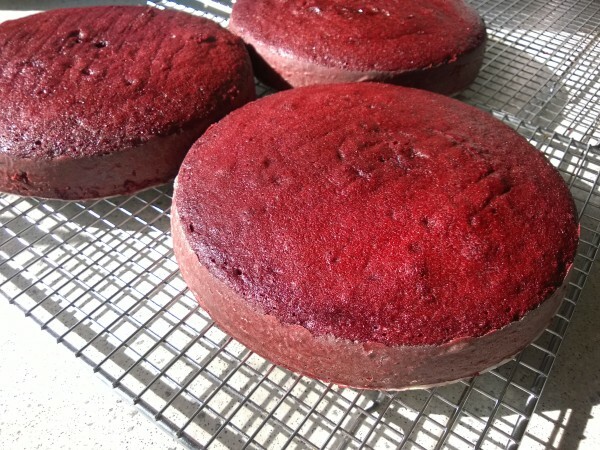 Three moist, lightly chocolatey vermillion layers cool in the afternoon sun. How lovely to bring three, warm, chocolate scented layers from the oven and set them to cool on the counter like fresh jewels. How fun to blend butter with cream cheese and powdered sugar for depth and richness and tang with a firmness that will hold up to today’s special demands. How enjoyable to take my time creating a truly unique cake for a truly unique girl, whose sometimes scarlet, sometimes coppery, always lovely hair, mirthful blue eyes, and quick, kind smile speak volumes about her passionate, creative soul. Yes–what a fun challenge, indeed! And happy birthday, Megan! Soft, lightly chocolate, deep vermillion layers of red velvet cake draw a stark and lovely contrast with the sweet ivory of rich cream cheese frosting.